With the new year comes new opportunities. A fresh, refocused perspective on life is a healthy what to evaluate what works and what doesn’t work in our day-to-day lives. To reach the next level, we can use the new year to re-evaluate our business—even if we’re getting by just fine. Small tweaks could make a huge difference, especially adding business signage. If you run a good business, you probably have an excellent word-of-mouth reputation. With that comes lifelong customers and referrals, which help your company to grow and flourish. Without providing great customer service and a product or service in demand, your company would not be where it is today, but why not take it to the next level? 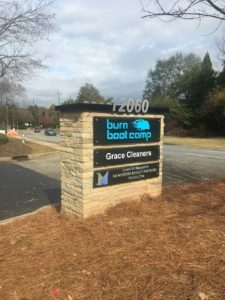 With monument signs Atlanta, your company might get the boost you’re looking for. Is Your Company in Need of a Monumental Change? Don’t rely solely on word-of-mouth business. Haven’t you ever stopped in a store or business just because the sign piqued your interest? Sure, you might not have stopped in the very first time you passed the business, but curiosity got the best of you probably because of a monument sign. If it weren’t for that sign, you never would’ve heard about that business. Its word-of-mouth reputation never reached you, meaning your business’ word-of-mouth reputation will only extend so far. 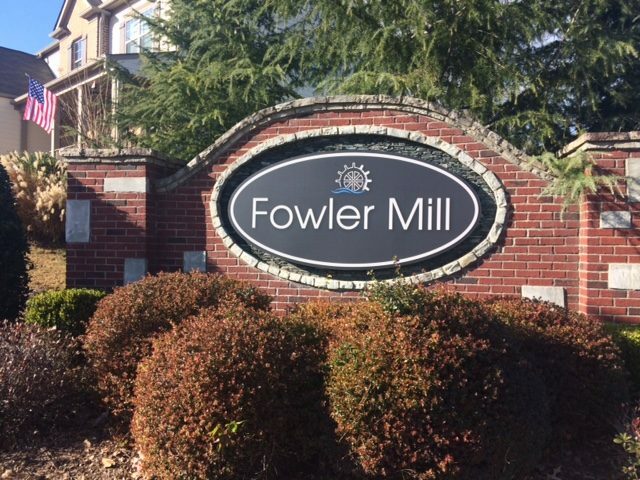 So, cast out your net and grab the attention of passersby with monument signs Atlanta. By having business signage, you will increase your company’s brand recognition. If you imagine your business’ location and all the countless people who travel by it, you could make an impression on all those drivers. When they repeatedly see your sign and brand, they will more likely stop in and drum up some business you would not have gotten otherwise. For example, pretend your gas light is on, and you’re looking for a gas station to pull into; however, none of them have business signage. Being able to find a gas station just got a lot harder. Don’t make finding your business hard for potential customers. On top of bringing a heightened awareness to a previously unreached audience, monument signs Atlanta reflect the professionalism of your company. A well-put-together business needs signage that is a proper representation of the goods and service they provide. If you want first-time customers to become repeat customers, business signage can help get you there. If you’re looking for a resolution that’s quick and easy as well as beneficial, look no further than getting business signage. 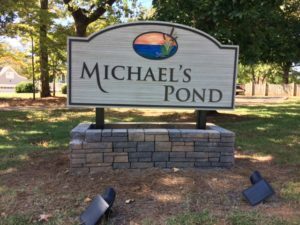 Apex Signs & Graphics has a combined 35 years of experience working with businesses to better sell their message through signage, including monument signs Atlanta. Our team will work closely with you to meet your needs and goals to best extend your company’s reach. To start getting noticed with Apex Signs & Graphics, contact us today at 678-795-0775 or request a quote. Don’t forget to connect with us on Facebook, Twitter, and LinkedIn.